Jackson Center, Ohio (August 24, 2010) – Airstream, manufacturer of the iconic “silver bullet” traavel trailer and one of the most recognized RV brands in the world, debuted its 2011 Interstate 3500 Class B motorhome. The partnership between Airstream and Mercedes-Benz has yielded a Touring Coach that fuses the legendary quality and design of the Airstream brand with the comfort, control, and luxury of Mercedes-Benz. The 2011 Airstream 3500 Interstate continues the tradition of extraordinary design and handcrafted quality that has made the Airstream a style classic for nearly 80 years. 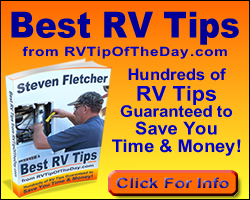 The unique blend of these two premium brands has produced a fuel-efficient, luxurious, safe, and comfortable way for RV travelers to explore the open road. 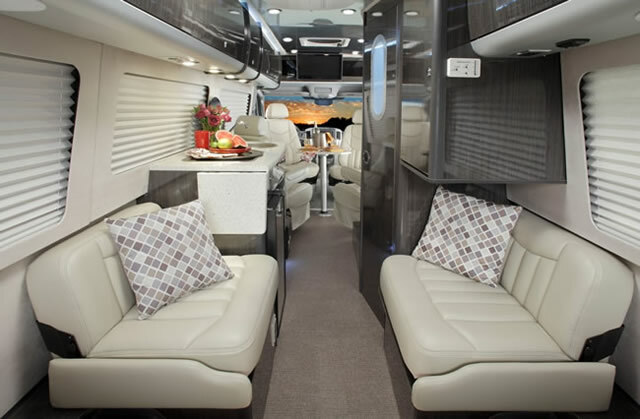 Airstream has outfitted the Class-B Interstate 3500 with seating for eight, a kitchen, bathroom, and a convertible lounge area that at night becomes a bed for two. Bucket seats in the cockpit swivel to face a removable table that seats four at mealtime, and a 19” flat panel HD LCD/DVD provides on-board entertainment. The galley features a convenient 1.2-cubic-foot convection-microwave oven and a stainless-steel two-burner cook top that is flush-mounted under a glass cover. A 3.1-cubic-foot refrigerator is cooled by an AC/DC compressor that uses 90 percent less power than conventional RV models. Additional energy efficiency is obtained by using interior LED lighting. The Interstate comes with a high-efficiency 13,500 BTU Dometic roof-mounted air conditioner, an optional 2.5-kilowatt Onan propane generator, and a 26-gallon fresh-water tank (with its own 6-gallon water heater for taking hot showers and washing dishes). The unparalleled cargo capacity of the Interstate 3500 allows for greater continuous travel while the rear axle dual tires provide the stability to carry such weight. Although the Interstate is less than 23 feet long and 80 inches wide, people up to 6 feet 2 inches can stand comfortably inside the cabin. 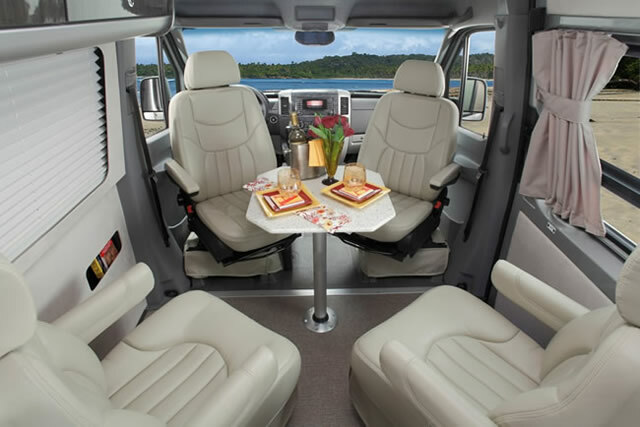 For worry-free backing-up, the Interstate also features an optional 5.5-inch LCD screen mounted in the driver’s compartment to display the area behind the van whenever it is in reverse. The 2011 Airstream Interstate is powered by a 3.0-liter Blue Efficiency V6 diesel engine that produces 188 horsepower and 325 lb.-ft. of torque from 1,200 to 2,400 rpm. Most importantly, the engine gets 30 percent better fuel economy than a comparable gasoline engine. The 2011 Interstate 3500 is available in both twin and lounge floor plans, with two interior decors – Onyx and Sand Pearl, and two exterior colors – silver and white. The Interstate 3500 has a suggested retail price of approximately $121,274.